We have put together this list of good, FREE, research reference sites to help you find resources that are reputable and academically acceptable. This is a Wikipedia-free zone. The reason that Wikipedia is not acceptable is that anyone can write an entry that has not been peer-reviewed, verified or even checked for accuracy. Colleges and universities will not accept Wikipedia as a resource and will fail a student for using it in some cases. 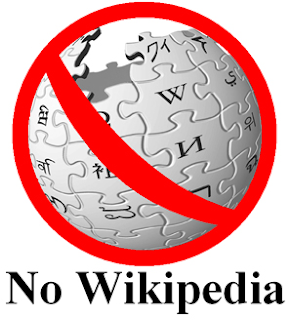 Most K-12 schools have followed suit and will not allow Wikipedia as a resource in a project. American FactFinder is put together by the U.S. Department of Commerce: Census Bureau and provides access to data about the United States, Puerto Rico and the Island Areas. The data in American FactFinder come from several censuses and surveys. Results can be broken down by state, county, city, and in some cases even households. This database is compiled by the U.S. Department of Labor and has great information on industries, markets, companies, and even a chart on how people use their free time. This is a great tool for a wide range of topics. This Google search engine features only peer-reviewed articles that are academically acceptable resources. This is a great database for information on televsion and movies that covers a good span of time. AGRIS is a global public domain Database with 4332548 structured bibliographical records on agricultural science and technology. 77.28% of records are citations from scientific journals. The bibliographic references contain either links to the full text of the publication or additional information retrieved from related Internet resources. 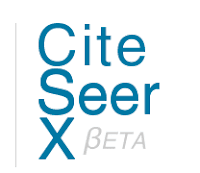 ChemXSeer is an integrated digital library and database allowing for intelligent search of documents in the chemistry domain and data obtained from chemical kinetics. Currently, we have designed and implemented the following: Chemical Entity Search, TableSeer, and Databases. Developed at and hosted by The College of Information Sciences and Technology, this is a great database that is mainly focused on computer and information sciences. The SAO/NASA Astrophysics Data System (ADS) is a Digital Library portal for researchers in Astronomy and Physics, operated by the Smithsonian Astrophysical Observatory (SAO) under a NASA grant. The ADS maintains three bibliographic databases containing more than 10.2 million records: Astronomy and Astrophysics, Physics, and arXiv e-prints. EBSCO HOST provides access to 1,750 magazines dating back to 1975, and includes nearly 500 reference books, 86,017 biographies, 105,786 primary source documents, and an Image Collection of 341,655 photos, maps and flags.